Exaggerated startle response is a prominent feature of posttraumatic stress disorder (PTSD) although results examining differences in the acoustic startle response (ASR) between those with and without PTSD are mixed. One variable that may affect ASR among persons with PTSD is smoking. Individuals with PTSD are more likely to smoke and have greater difficulty quitting smoking. While smokers with PTSD report that smoking provides significant relief of negative affect and PTSD symptoms, the effects of smoking or nicotine deprivation on startle reactivity among smokers with PTSD are unknown. The purposes of the current study were to (1) examine baseline acoustic startle response (ASR) in smokers with and without PTSD under conditions of overnight abstinence, (2) evaluate the effect of smoking on ASR, and (3) evaluate the contextual effects of trauma versus neutral script presentations. ASR was measured among 48 smokers with and without PTSD in the context of a 2 (group: PTSD vs. non-PTSD) × 2 (context: trauma vs. neutral) × 3 (smoking condition: usual brand cigarette vs. denicotinized cigarette vs. no smoking) design. 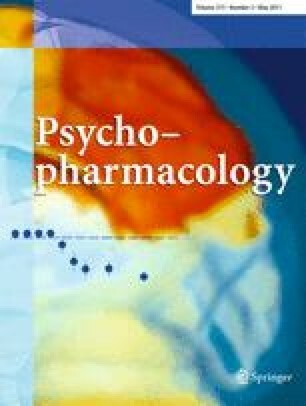 Effects of modest size indicated that (1) PTSD participants demonstrated higher ASR (2) compared to non-PTSD participants, PTSD participants reported greater negative affect following a trauma-related script, and (3) following a trauma-related script and smoking a usual brand cigarette, PTSD participants demonstrated higher ASR. Although many smokers with PTSD report that smoking reduces PTSD symptoms, results suggest that smoking may actually potentiate or maintain an exaggerated startle response. The authors thank the participants for their assistance in this research. This material is based upon work supported in part by R21DA019704, R21CA12896, 2K24DA016388, and the Department of Veterans Affairs, Veterans Health Administration, Office of Research and Development, Clinical Sciences Research and Development, and Health Services Research and Development. The views expressed in this article are those of the authors and do not necessarily represent the views of the Department of Veterans Affairs, the National Institutes of Health, or the United States government. The authors have no competing interests.